Nominated for Dolf Henkes Award 2019! Grateful and happy that I’m nominated for the Dolf Henkes Award. 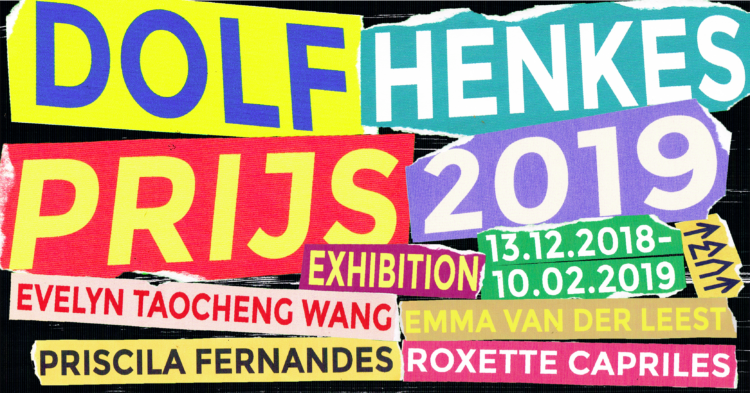 Artists Roxette Capriles, Priscila Fernandes, Emma van der Leest, and Evelyn Taocheng Wang are the nominees for the Dolf Henkes Prize 2019. The Henkes Foundation biannually awards the prize to an iconic Rotterdam artist. The jury, led by Fons Hof, nominated the four artists for the €12,000 prize. From Friday 14 December 2018 to 10 February 2019, an exhibition of the nominees’ work takes place at TENT. The winner is announced on Thursday 7 February 2019, 18.00h at TENT during Art Rotterdam. For this exhibition I will be working on a new project.